Extensive fossil graveyards and coal deposits are more consistent with a global catastrophe than with slow and steady processes over millions of years. Everybody knows fossils are fickle; bones will sing any song you want to hear. —J. Shreeve, “Argument over a Woman,” Discover 11 no. 8 (1990): 58. Just like any other piece of historical evidence, fossils don’t speak for themselves. Evolutionists believe that the fossil record supports their theory of the slow and gradual evolution of life from amoebas to astronauts. Creation scientists reject this view and choose to accept the biblical version of the origin of life on earth. The fossil record is instead primarily a record of the destruction and death caused by the Genesis Flood. Extensive fossil graveyards and coal deposits are more consistent with a global catastrophe than with slow and steady processes over millions of years. The formation of fossils demands that the organisms be buried quickly in an environment free of oxygen where nothing will disturb them. We find few places like this on earth today. Flood conditions are ideal for forming fossils, and the global Flood described in Genesis provides a starting point to examine the fossil record. Far from showing gradual changes of one organism transforming into another, the fossil record shows fully-formed organisms appearing suddenly and disappearing—just what we would expect if life were created and then later judged by the Flood. 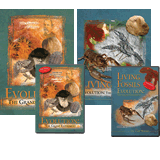 The Bible offers a framework to understand the fossil record. We should start the discussion about fossils by recognizing that the fossil evidence is shared by everyone. There are not creationist fossils and evolutionist fossils, but there are creationist and evolutionist interpretations of the fossils. When we observe fossils in the present, we can take measurements and determine composition, but the real interest in fossils is interpreting where they came from. Once we start attempting to explain how the organisms came to be fossilized or how and where they lived before they died, we must remember that we are using presuppositions in that explanation—we have gone from operational to historical science. As mentioned in an earlier chapter, the fossil record does show a general order as we move from the lowermost geologic layers to the uppermost. Evolutionary geologists would interpret this order as the progression of life from simple chemicals to single cells to zebras and eventually to humans. The assumed progression in the fossil record is used to prove that biological evolution through natural selection changed one kind of organism into another over millions of years. There are many fossils that occur out of sequence that are explained away to confirm the presupposition of an old earth and biological evolution. Creation scientists begin with the assumption that the fossil record can be primarily divided into two segments: the fossils deposited during the Flood and those formed since the floodwaters receded. Instead of assuming that the fossils represent vast ages during which life evolved, the Bible is used as the starting point. The Bible teaches that life was created as distinct kinds that have reproductive boundaries. Creation scientists reject the idea that the fossils demonstrate the evolution of life based on their belief in the Bible. Molecules-to-man evolution is based on naturalism and is contrary to the Bible. Far from showing organisms changing, the fossil record is very static—organisms appear fully formed and then disappear or remain today. The lack of change recorded in the fossil record is used by some evolutionists to support the idea of punctuated equilibrium. This hypothesis suggests that evolution happened in rapid bursts over short periods. The lack of transitional forms and the sudden appearance of new organisms in sedimentary layers are used to support this idea. Preserved remains of once-living organisms. When creation scientists look at the fossil evidence they interpret it in light of the Flood described in Genesis. So how can the Flood model be used to explain the general order seen in the fossil record? The answer is that in general, the lower layers record the organisms that were buried first in the Flood, and the upper layers record the later stages of the Flood. The model that seems to best fit the evidence involves different ecological zones being buried at different times. Using the description of the Flood in Genesis and the fossil evidence, the stages of the Flood are recreated to explain the fossil record. The presence of sea-dwelling creatures in layers lower than those containing dinosaurs does not mean that the dinosaurs lived after the sea creatures. To make this claim, it must be assumed that the layers were deposited over vast ages and that evolution is true. Since the Flood was a global event that lasted about one year—as Genesis clearly teaches—we would expect to find massive layers of sediment containing the fossilized remains of billions of animals and plants. And that is exactly what we find all around the globe. There certainly are questions that remain about the details of the model, but the foundational ideas explain much within the limits of historical interpretations. Some of the greatest testimonies to a worldwide flood are the many, massive fossil graveyards across the globe. One of the most popular in the United States is Dinosaur National Monument near Vernal, Utah. “The Wall” is an exposed sandstone graveyard which contains the fossilized remains of stegosaurs, camarasaurs, diplodocuses, freshwater clams and snails, logs, and many other organisms. The National Park Service website explains the remains as the result of a dried up waterhole where many dinosaurs perished 150 million years ago. After the drought, the river filled again and slowly covered the carcasses with sand and gravel, and the fossilization process began. That is a nice story, but that is not how fossils form, let alone a layer 50 feet thick. Organisms must be buried quickly in an environment that lacks oxygen in order to be fossilized. If they are not, scavengers and bacteria will quickly decompose the organisms. The most common fossils at the site are freshwater clams. Most of these clam shells are found opened, showing that they were buried after death. However, some of the clams are found still closed, indicating that they were buried while still alive. The clams could not have been buried alive if the river and waterhole had dried up. That explanation also fails to mention the large amounts of volcanic sediments at the site. The presence of large amounts of volcanic activity associated with the Flood, combined with mudflows, is a much better explanation for this fossil graveyard and many others around the world. 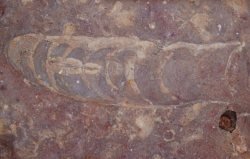 The presence of fossils from marine and terrestrial organisms in graveyards around the world cannot be explained by the slow processes seen today. The Green River Formation, a fossil-rich formation in Wyoming, includes birds, bats, fish, insects, and many plant species all buried together. The Redwall Limestone of Grand Canyon contains fossil nautiloids (squid-like creatures with a shell) and other marine creatures buried by a fast-moving slurry that involved 24 cubic miles of lime, sand, and silt. No river or lake today can account for the scale of these graveyards. This is another reason why many geologists today are reexamining the fossil record from a catastrophic perspective—though not necessarily the biblical catastrophe. The presence of many millions of nautiloids killed and fossilized in the Redwall Limestone is best explained by a single catastrophic event. The large scale of this graveyard, and similar features around the world, are best explained by the global Flood described in Genesis. Contrary to popular belief, rocks and fossils actually form quite rapidly. The formation of fossils requires the conditions that we would normally associate with a flood. If a fish dies in a lake or river it is extremely unlikely that it will form a fossil. It will be quickly picked apart by scavengers and torn apart by currents. The exquisitely preserved fish fossils that we find across the globe can only be explained by rapid burial in an environment that would prohibit decomposition. We do not find these conditions in very many places on earth today, yet fossils are found across the globe throughout the geologic column. Sedimentary rocks can form in short periods of time instead of requiring millions of years to form. Rocks have been observed to form over observable time periods, similar to the everyday process of making concrete from a mixture of lime, sand, and gravel. The organisms trapped in rapidly deposited layers are much more likely to become fossilized than those that are not buried in some sort of catastrophe. The ideal way to make a fossil of your pet fish would be to quickly add some concrete mix to the bowl. Extensive coal beds and oil reservoirs are also examples of fossil graveyards. 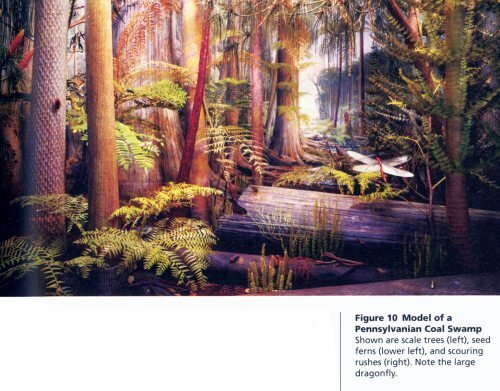 The textbooks explain coal beds as the remains of plants gathered in shallow seas and swamps over geologic time. Pictures of lush landscapes with foreign plants and giant insects are used to make the story more believable. One problem is that we do not see swamps forming coal today. Boggy areas today cannot explain the massive coal deposits seen in the geologic record. Features like compressed bark sheets, polystrate trees, and sharp boundaries do not match the descriptions of formation given by the textbooks. (See articles 7:7 and 7:8 below for more information.) The presence of carbon-14 in coal samples (as published by the RATE group) also demonstrates the recent formation of coal. The Flood can explain the rapid burial of enormous amounts of vegetation that became the coal we use today. Coal, as well as oil and natural gas, can be formed in hours in the laboratory—the millions of years are not required. Vast swampy seas are alleged to have formed coal beds over millions of years. However, coal forms quite rapidly under the right conditions. These ancient swamps are not necessary to explain where our fossil fuels came from. Other testimonies of rapid burial include the trackways of organisms such as horseshoe crabs, trilobites, various dinosaurs, pterosaurs, and amphibians. In order to be preserved, these tracks must have been covered very soon after they were made. Under the slow, gradual processes seen in today’s lakes, rivers, and seas, the tracks would have been obliterated by burrowing organisms, waves, and currents. The footprints at Laetoli, Tanzania, are dated at 3.7 million years old. The prints are preserved in ash deposits from a nearby volcano that was damp from a passing rain. Before more rain could erase the tracks, another layer of ash was deposited, thus preserving the tracks. Among those of common animals are the footprints of what would seem to be modern humans, but modern humans didn’t appear until much later according to the evolutionary view. Evolutionists won’t admit these are modern footprints, but instead use them to suggest that our human ancestors have been around for about 4 million years. The details of alleged human evolution become more confusing as more evidence is made available and interpreted. It is interesting that the textbooks do not mention polystrate fossils at all. The presence of fossils that penetrate many layers is a major problem for uniformitarian explanations. The cliffs at Joggins, Nova Scotia, present a prime study of polystrate fossil trees. These fossilized trees pass through many of the layers of the exposed cliff face. If the layers represent many millions of years, how were the trees able to stand upright without rotting away while they were slowly buried? Some suggest that the trees were buried and fossilized while the surrounding layer was then weathered and the next forest grew on top of that layer, to be subsequently buried by the slow deposition of the next layer. Repeat the process over millions of years and it supposedly creates polystrate fossils. The fossil trees at Specimen Ridge in Yellowstone National Park are another example of this phenomenon. The Flood, once again, offers a better explanation. After observing the events following the eruption of Mount St. Helens and the floating logs in Spirit Lake, Dr. Steve Austin provided another explanation. The tree stumps and logs floating on the lake eventually settled to the bottom as they became waterlogged. Many sank root end first with sediment and bark layers around and between them. Underwater photographs have revealed similarities to the petrified forests—successive layers of buried upright stumps with no roots. This model provides a Flood-based explanation and is supported by observational evidence. 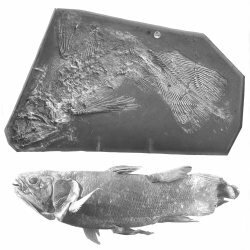 The presence of “living fossils” like this coelacanth casts doubt on the value of evolution as a predictive model—organisms can change rapidly or stay the same for hundreds of millions of years. Other examples of living fossils include wasps, dragonflies, stromatolites, ginkgoes, clams, and the Wollemi pine. The presence of living fossils is another quandary for those who interpret the fossil record from an evolutionary perspective. Thousands of organisms have remained virtually unchanged over alleged millions of years of earth’s history. One of the most famous accounts is that of the coelacanth. The coelacanth was believed to be extinct as none had been found in the fossil record in the last 65 million years of sediments. Then, in 1938, a living specimen was caught off of the coast of South Africa. Since then, another species in Indonesia has been found. How does something avoid being discovered in the fossil record over 65 million years? Evolutionists suggest that a shallow-water species of this fish became extinct and no deep-water specimens have been subsequently lifted to the surface to be discovered. They believe there must be more fossils, but we just haven’t found them yet. Creation scientists would suggest that the fossilized members were buried during the Flood, and that the other members have survived in the oceans undetected by scientists until recent times. The same would be true of the ginkgo tree, Wollemi pine, dawn cedar, sturgeon, crocodilians, frilled shark, and many insects, crinoids, crustaceans, and mollusks. Accepting that these organisms have remained virtually unchanged for tens of millions of years exposes the plastic nature of evolutionary theory. In the same amount of time, other organisms have supposedly undergone major changes through the same evolutionary processes. Can evolution be falsified as a theory if it explains both no change and major change? Or is it a perfect theory because of its ability to absorb any evidence—regardless of how contradictory it may appear? We will explore that idea more in the next chapter. The fossil record can be viewed either as the progression of life through random chance over 3.5 billion years, or as the remnants of a global Flood which happened about 4,300 years ago. Starting with the authority of Scripture, we can explain the evidence in the fossil record—from massive graveyards to living fossils—in a consistent manner. It is not necessary to throw the Bible out of discussions over fossil evidence. It is not necessary to try to fit evolutionary ideas into the Bible. All we need to do is begin with the eyewitness accounts found in the Bible, and we can explain the world around us. There are thousands of examples of creatures living today that are virtually identical to their ancestors which supposedly lived hundreds of millions of years ago. These include many insects, the Wollemi pine, ginkgo trees, crocodiles, coelacanths, and many marine invertebrates. How can evolution explain that some creatures have remained unchanged for such long periods of time while others have changed relatively rapidly? There is no real consistent answer. Some say it is due to long generation times, but that doesn’t work for cockroaches and bacteria that reproduce in days or minutes. Some say that it is just chance and luck, but that is intellectually unsatisfying to many scientists. Others say it is because of the lack of habitat change, but that only works in a few examples. Ultimately, evolutionists can provide no clear explanation of why these “living fossils” are still with us today. Creationists, however, understand that the ancestors of these organisms were created only 6,000 years ago. This timeframe makes the explanation rather simple—they have survived relatively unchanged for a few thousand years, not millions. 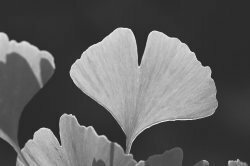 Plants like these ginkgoes are virtually identical to those that appear suddenly in the fossil record. The evolutionary sequence of plants is not displayed in the fossil record even though the story is told in textbooks. At least four different evolutionary lines are supposed to have emerged from prehistoric green algae, the common ancestor of all plants. In a recent text on plants, not a single fossil series is provided to support the phylogenetic tree diagrams that supposedly explain the evolutionary history of plants. The grand claims are laced with words like “probably,” “apparently,” and “presumably.” The places where the fossil record is the most complete should provide the clearest picture of evolution, but this is where many evolutionists disagree. The lack of fossil ancestors for the major groups would seem to be important, but the evolutionists fill in the gaps with imagination, not science. The evidence clearly points to diverse groups created in the supernatural events described in the opening chapter of Genesis. The evolution of plants offers unique challenges to evolutionary scientists. The simplest of plants is said to have evolved at different times from some type of chlorophyte algae, but this simple plant did not give rise to the more complex vascular plants. As one moves up the evolutionary ladder, there are no known ancestors for the majority of the major phyla of plants, and the chemical relationships do not support the common evolutionary models. Major changes to the organization of the phylogenetic tree of plant evolution have been suggested, but the order of events is still being debated. In many cases, the claimed ancestors appear later in the fossil record. A while ago, evolutionists would not have expected to find any fossils in rocks that they thought were, say, three billion years old; life supposedly hadn’t evolved yet. However, fossils of bacteria kept turning up in progressively older rocks (no surprise to creationists), which allowed less and less time for the first life to evolve in the hypothetical, oxygen-free early atmosphere. Now an Austrian/Swiss team of scientists has looked at rock from Western Australia’s Pilbara region, supposedly around 3.5 billion years old, and found what appear to be fossilized cyanobacteria. These appear to be indistinguishable from the same (oxygen-producing) creatures making the mat structures called stromatolites in the shallows of Shark Bay, some 500 kilometers away on the coast. Many rock layers that are thousands of feet above sea level contain fossils of marine organisms. Even atop the Himalayas, fossil ammonites can be found in the limestone. So how do we explain this? At some point, the ocean waters must have covered the continents. The continents could not have been below sea level because the less dense continental rock “floats” on the mantle well above the ocean rocks. So the evolutionary explanations fail. There are two mechanisms that explain how the water covered the continents. During the biblical Flood, the fountains of the great deep would have added water to the oceans for 150 days. Second, if the ocean floor rose it would have pushed the sea level up and caused the water to flood across the continents. The breakup of the earth’s crust and less dense, heated molten rock of the newly forming seafloor could create this situation. As the new ocean floor rock cooled toward the end of the Flood, and the ocean basins sank as the mountains rose up, so the floodwaters would have returned to the ocean basins, leaving the fossils buried in the sediments deposited on the continents. The Flood provides a model to explain how marine organisms were transported onto the continents and deposited. Later, as the mountains rose, these sediments were elevated high above sea level. Looking to the Bible, we can explain the world around us in a consistent way. Oil is generally found in sedimentary rocks trapped in reservoirs created by faults or folding. Most scientists agree that the oil we find came from plants (and perhaps some animals) that were buried and chemically converted to crude oil and natural gas. The presence of porphyrins, chemicals similar to chlorophyll and hemoglobin, is important in understanding the formation of oil. Porphyrins break down rapidly in the presence of heat or oxygen. So, the plants that formed the oil must have been deposited in an environment free of oxygen. These conditions do not match what we see happening today in river deltas and coastal areas, but can be found in places like the Black Sea. Rather than a gradual accumulation, the evidence seems to fit the rapid burial of tons of vegetation in an oxygen free environment. Oils and the porphyrins they contain have been shown to be produced within hours and by no means require millions of years to form. Commercial thermal converters routinely turn animal slaughterhouse wastes into high-quality oil and fertilizer in two hours. All of the available evidence points to a recent, catastrophic origin of oil from organic matter. The biblical Flood can explain the rapid deposition of massive quantities of vegetation under the conditions necessary to form the oil we harness today. The cliffs at Joggins, Nova Scotia, preserve a unique geologic record that was used by Charles Lyell to convince the world that his uniformitarian ideas were correct. Lyell argued that the upright fossil trees could not have been deposited by a catastrophic flood. Standard thinking today suggests that the area was once a coastal basin or river flood plain that was periodically covered by sediment over a 10-million-year period. Coal seams in the layers are thought to record successive swamps, 85 or more, that formed in the exact location in the sinking basin. The presence of fossil trackways, ripple marks, raindrop pits, and cross bedding make it clear that these layers were deposited in quick succession. If they were the remains of many years of gradual deposition all of these features would have been obliterated by burrowing animals. 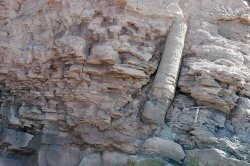 Fossil trees that pass through many geologic layers representing millions of years are not well explained by slow and gradual processes. The Flood offers a better explanation. The fossils in the layers include terrestrial and marine animals and plants, but the large trees are the most significant fossils. These tree trunks actually rise vertically through many different layers and are known as polystrate fossils. These trunks are separated from their roots and filled with different sediments and even fossil amphibians. Uniformitarian geologists claim that these trees grew in swamps and were slowly covered by muddy sediment as the swamps were flooded. New trees would then grow, so a new peat layer would form and the cycle would repeat. It is highly unlikely that the above story is true. The presence of roots inside the trunks and scattered through the surrounding soil, as well as the absence of roots penetrating lower layers, discredit the idea that the trees grew in place. Well-preserved leaf fossils would not be present in the swampy conditions, and some of the trees are at an angle or upside down. The sandstones are cross bedded and many of the root fragments are oriented in a similar direction, indicating fast moving water. All of these evidences are better explained as the result of a catastrophic Flood. Though all of the details are not fully worked out, the Flood model offers a much more coherent explanation of the evidence found at this location and many others. 7:8 Did modern coal seams form in a peat swamp? Most geologists are trained to think that the present is the key to the past and thus consider coal to be a product of peat swamps from the distant past. Peat swamps of today are very small compared to the massive coal seams that cover entire states. The organic material that collects has the consistency of coffee grounds, unlike the sheets of bark and woody material that are found along with the fine grains in coal seams. Ancient coal seams have knife-edge borders with the layers above and below them and rarely have roots penetrating those layers, as seen in peat swamps today. The adjacent layers are often classified as marine environments, which would have required the repeated downwarping and uplifting of an area. The lack of erosional features between coal and adjacent layers does not fit the story. The features of modern peat swamps cannot explain the features seen in coal seams, but the burial of massive quantities of plant material in alternating marine layers is better explained by a model that incorporates the Flood of the Bible. The presence of frozen mammoth carcasses in the arctic permafrost has been a puzzle for centuries. Scientists struggle to explain why these large animals lived in Siberia—a land of blizzards and permafrost. Accompanying the mammoths are bison, horse, antelope, woolly rhinoceros, and other large mammals. The amazing thing about the mammoths is that many of them appear to have been frozen in place while standing or sitting. This preservation happened so quickly that their last meal was preserved in their mouths and stomachs. Buttercups and grasses have been found indicating a much different environment at the time the mammoths inhabited Siberia. Exactly how the mammoths inhabited this area is difficult to explain in uniformitarian terms, but it can be explained by the Ice Age that followed the Flood of Genesis. It is likely that there are many millions of fossilized mammoths in the Siberian permafrost and many more in Europe and North America. From observing several of the intact mammoth and rhinoceros fossils, we conclude that they must have died of suffocation. This can be explained in light of huge dust storms during the Ice Age, but this explanation is rejected by uniformitarian scientists. Secular scientists have no realistic way to explain how such a large number of mammoths died in such a short period, let alone how they were buried in the permafrost. The model built on the biblical Flood and subsequent Ice Age explains these circumstances quite well. 7:10 Fossils—do they get more complex? Evolutionary theory would predict that organisms lower in the geologic strata would be less complex than those in higher layers. When evolutionists looked at ammonite shells and descendant-ancestor pairs of vertebrates, no trend in increasing complexity was found. How fast do fossils and rock layers form? Just about everybody agrees that individual fossils must have formed quickly. When an organism dies, it must be buried quickly and deeply. Fallen trees in a forest, fish killed in red tides, and the bison that once roamed the plains of North America will not be fossilized. It is generally accepted that flood conditions are perfect for forming fossils. Creation scientists believe it was one Flood, and evolutionists believe it was many small floods that created the fossil record. One of the most common ways fossilization occurs is when the pores of a bone or piece of wood are filled with mineral-rich water that forms crystals. Fossilization must have been rapid in the case of a miner’s hat that fell into limey water and hardened to stone. Fossils can be made in the laboratory in a short time. Fossilized jellyfish must have been fossilized very rapidly, because jellyfish washed up on the shore today disintegrate in a matter of hours. The formation containing these Ediacaran fossils covers a large area and includes millions of specimens of jellyfish and other organisms. These all must have been buried in a short period in wet, sandy conditions to preserve them. Most people are taught that sedimentary rock takes millions of years to form, but we all know better—concrete can form solid rock in hours. Time, heat, and pressure can and do alter the properties of rock but are not necessary to form it. However, we don’t find individual fossils or rock layers, but billions of fossils buried in many rock layers that form the geologic record. Evolutionists suggest that the fossils in the geologic record show a progression of life from the bottom to the top. They claim that the “fact of evolution” is present in the rock record in the evolutionary story. Creation scientists view the rock record as a testimony to the global Flood described in Genesis. The differing life-forms in the rock units represent ecological zones that were buried in succession during the Flood. Bottom–dwelling marine creatures were buried first, and then other sea creatures followed by the different ecological zones on the land. 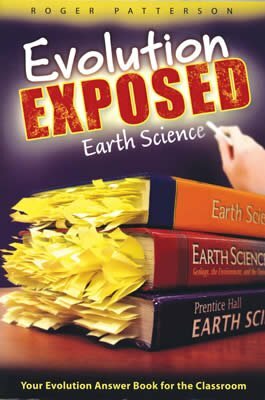 Many evolutionists are adopting views of neo-catastrophism to explain the massive fossil-bearing layers covering large sections of continents and supposedly containing large gaps in time (known as paraconformities). The presence of polystrate fossils allegedly penetrating many millions of years of geologic layers is also best explained by rapid deposition of many layers, rather than a gradual process. The events following the eruption of Mount St. Helens have provided an explanation for the formation of polystrate trees in fossil forests and layers of bark that will eventually form coal deposits. How fast can fossils form? What conditions are necessary to form fossils? How soon after death would a large dinosaur (or a group of large dinosaurs) need to be buried by sediment to prevent scavengers from scattering its bones? It would seem this would need to be a catastrophic event to bury this large animal in sediment. How can polystrate fossils be explained if the layers they are buried in represent millions of years? Wouldn’t the wood rot away before it was covered? Don’t large fossil graveyards suggest a major catastrophe? Could a massive flood explain these deposits? How are massive fossil graveyards explained without a major catastrophe? Where would we find fossils forming on earth today? 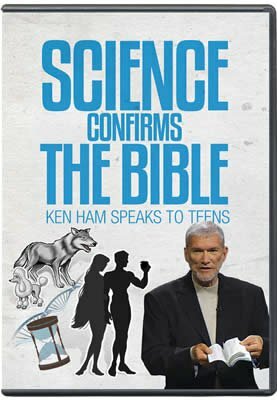 The New Answers Book 1 by Ken Ham et al.